World Health Organization (WHO) defines healthy body, mind and soul. Medical Science also recognizes that many diseases are produced by stress, anxiety, worry and fear. There is an increasing incidence of stress related diseases in India like Coronary Artery Disease (Heart Attack), Cerebra vascular disease like cerebral strokes due to hammerage in one of the blood vessels in the brain, hypertension, diabetes etc. the Medical Science can only manage these diseases with tremendous cost to the patient or the ex-chequer. The only method of preventing these diseases and ensuring perfect heath is healthy lifestyle based on ancient Vedic Philosophy of peaceful and blissful living. Various techniques of the art of blissful living by positive thoughts, love gratitude and compassion towards everyone and acceptance of whatever life offers, Yoga, meditation, healthy diet, rich in fruits and vegetables (Satvik Diet) as described in our Vedic Philosophy have been well illustrated in Prof. Dr. B. B. Puri’s book on “The Art of Blissful Living”. I am sure, all the readers will benefit from this book and learn to be peaceful and compassionate and radiate the same to the people around them, in the house, in the community and at the place of work. The only way that peace can prevail in the world is to work for our essential comforts of life, being peaceful within oneself and loving to other fellow beings. I wish Dr. Puri a great success in spreading Vedic way of life through his book “The Art Of Blissful Living”. It gives me immense pleasure in presenting to you my latest book titled The Art of Blissful Living. I hope that the experiences, learning and practical tips which I have accumulated over the past years would help you in opening your mind to rediscover your inner self, to investigate, analyse and realize the very essence of life. Living a contented life is an art, a skill, and a technique which all of us need to learn and master in order to achieve mental peace and harmony. This book may help you in creating and maintaining a proper balance between body, mind, soul, intellect and the environment around you in line with the five elements of Nature. You will be able to reduce the stress and strain of materialistic life, leading to a state of ultimate liberation and bliss. The tips given in the various chapters offer a practical way of life which satisfies your spiritual needs leading to mental peace along with material prosperity. Your very self is an ocean with a fortune of undiscovered wealth and unbounded love deep inside you that you can offer to others. Your mind is so powerful that you can create an environment of your own choice to surround you. May this book enlighten your intellect and environment, so that you can enjoy healthy, peaceful and comfortable living within the Laws of Nature. My previous books titled Vedic Architecture and Art of Living and Applied Vastu Shastra in Modern Architecture have been well received by the readers. While releasing the book in a function held at Rashtrapati Bhawan on 26th December, 1995, His Excellency, Dr Shankar Dayal Sharma, the Hon’ble President of India, was all praise for the book. Doordarshan and the print media covered the event extensively. Earlier, at the presentation Function at Jubilee Hall, Hyderabad, Smt. Vimla Sharma, First Lady of India, presented the book to Smt. Urmila Ben Patel, the then Hon’ble union Minister for Power in the presence of Smt. Suman Krishna Kant, the First Lady of Andhra Pradesh, Shri Krishna Kant, Hon’ble Governor or Andhra Pradesh, Shri Chandra Babu Naidu, Hon’ble Chief Minister of Andhra Pradesh and Shri Mallikarjun, Hon’ble Minister for Defence and Railways. While I was working on the 3rd Volume, a number of my students and clients encouraged me to write on the ways and means to attain peace of mind and tranquility. The overwhelming response and encouragement to my endeavours has prompted me to present to you the third Volume on the subject entitled A Practical Guide to an Ageless Mind. While man’s physical structure has remained unchanged, his thought processes, his mind-sets, his living standards and his environment have undergone a sea change. Mankind, through a process of trial and error, has discovered the importance of Vastu Shastra for improving the living conditions in his abode for deriving peace of mind, health, tranquility and prosperity. Vastu also guides us on how to live in harmony with our surroundings by rearranging the interiors in a house without making any structural changes. This book contains practical tips and advice on how Vastu Shastra guides us in creating a healthy and harmonious living and working environment. During the course of my forty years of professional experience as an Architect and Vastu Advisor, I have had many opportunities in India and abroad to study and deal with people having diverse cultural and social styles of modern living. I have been privy to the problems faced by them with respect to their factory, business establishment, commercial premises, offices, workhouses, homes, etc. I have endeavoured to discuss some of these practical issues in this book. I have also kept in view the demands made at various International Conferences by the western people to know more about the Indian philosophy, with particular reference to Vedic Science and their application to Modern Living standards. During the course of my studies and my professional life, I have always taken a keen interest in ancestral culture and habitat, particularly those of the most ancient Vedic Period. It has been fascinating to dig out valuable data, which proves that the living style of our ancestors was really scientific and in accordance with Vedic Principles. A lot of research work has been put in to ascertain as to how Vedic Culture could be applied to our modern living to enjoy beneficial and healthy living. The rise of Vedic Knowledge and is subsequent applications in later periods has been taken into account. The author does not wish to go into the controversy of the exact period of the Vedic Age. Indian culture and civilization are basically spiritual in nature. Meaning:- Our life system is not dependant merely on the process of breathing. The intake of diet is indeed important for health, but health does not rest on food alone. The entire system can be thrown out of gear if the mind is upset. A mild turbulence injected into the mind is enough to disturb the entire balance of personality. Your strength is in you. Religion begins where science ends; the beginning of the higher wisdom. Accomplishment of Vedic Gyaan includes development of a relationship between the ‘situation’, namely our surroundings, climate, landform, view, topography, lights and its manifestations, colours etc., and the ‘medium’: material and construction techniques. Design is a learning process. Man, his surroundings and the methods used are integral to each other and therefore, any design action is relative and requires the application of holistic, meditative and creative processes. Similarly, nature, man and product are within an evolutionary network guided by performance standards. Vedic Culture is to be seen, felt, perceived, conceived and experienced from inside as well as from outside. It has to have a fourth dimension, However, it is essential to go into a very deep and careful study to understand its implications. When we talk about Vedas, we are talking about knowledge. Vedas means knowledge. The mind possesses knowledge, therefore, the mind is the main author of all our actions and behaviour. Human Beings take birth on this planet based on the composition of the five elements of nature. We take birth with five senses, but it is essential to develop these five senses through knowledge. Knowledge comes from the Vedas and Development comes from the mind. We may possess the best knowledge, but the use of this knowledge is not through Karmas (action). It is our mind which assimilates this knowledge and puts it to the proper use. In other words, the mind is the author, the principal, the thinker, the planner, the subject as well as the object, behind all our actions. If so, why not discuss about the mind, with the mind, for the mind. The mind that is ageless and requires no rest. As we gain experience and advance in age, our body becomes old and weak, but our mind matures as age advances. I, therefore, decided to pen down my experiences with the aid of Vedic Knowledge. This book is a practical guide to attain an ageless mind, with the help of the spiritual laws of Vedic Knowledge and derive the benefits through the art of blissful living. The basic reason which has prompted me to take up this book is that I have been receiving numerous letters and enquiries on a daily basis from people who are seemingly confused about which is right and which is wrong while applying the Principles of Vedic Culture. The recent profusion of articles and books available on the subject of Vedic Culture in the market has added to the confusion with contradictory information rather than providing a solution to the problem. This state of affairs coupled with the tremendous faith vested in me by people around me has motivated me in making an attempt at clarifying to my readers some practical points which will help them to understand how and where to apply the Principles of Vedic Culture. I was also keen to find answers to the question as to why here is this sudden, overwhelming interest in ancient Vedic knowledge not only in India, but all over the world. This compilation is an humble attempt to discover the synchronization of Vedic Knowledge with Vastu Shastra. Present-day life in the 21st Century has become complicated, illogical and contradictory. Any attempt to describe this period fully would run into volumes, yet the end would still be nowhere in sight! I have attempted to take a microscopic section from the magnificent Vedic period based on ‘Truth’ and scientific reason to show how close people are to nature and how they could learn the art of meaningful and fruitful living aided by Vedic knowledge to enjoy the gift of nature. I am aware of the difficulties and limitations set in the path of any enterprise to seek learning from the Vedas and Upanishads. Such a venture, despite best efforts, cannot claim to be a comprehensive study of such a vast ocean of knowledge. Our aim has to be the discovery of the ‘Truth’ and in order to attain this goal, we must apply our minds fearlessly and without prejudice or preconception and formulate our conclusions on the basis of available evidence as far as they permit us to do so. To achieve the desired benefit in true spirit, great care is to be taken to distinguish clearly the ‘Known’ from the unknown’ and to approach the ‘Unmanifest’ from ‘Manifest’. Vedas regulate the relation between man and his environments. A learner should exhibit his sill by overcoming the difficulties and differences between the principles laid down in the ‘Vedas’ and the need of the present-day requirements, keeping in mind the original relation between man and nature and to find acceptable solutions. For good results it is all the more important to put the correct question rather than to find the correct answers to the wrong questions. We have to create harmony between the common values, moral codes, individual beliefs, ideological convictions, economic conditions, social obligations and cultural symbolizations coupled with philosophical ideas and meaningful environment. During the Vedic period, people built homes, temples and hermitages not merely to be used as shelter but mainly with a view to having a peaceful place for offering prayers, find peace and to live in common harmony. The ancient philosophic concept represents two different logical processes – the ‘Inductive’ and ‘Deductive’. The former took its stand upon ‘Smriti’ or reasoned knowledge and law of cause and effect and the latter dependent upon insight or inspiration, known as ‘Shruti’ or divine revelation of which the Vedas are said to be the expression. In modern language we may call these as an objective or atheistic and subjective or theistic science towards the finer and subtler aspects of life and consciousness. One ponders over answers to vital questions to vital questions like: What was the beginning” how does the Universe evolve? What is the real constitution of a human being? What is the ultimate? Etc. The Vedas proclaim that the consciousness, the Universal Will, the Omnipresent and the Omnipotent ‘Brahma’ (Purusha) is without beginning or end. The ‘Eternal’ contains Space (Akash), Time (Kala), Energy (Pran) and Nature (Prakriti). The all-pervading consciousness regulates the entire cosmos and illuminates or gives a spark of life to all individual beings. Death and decay are the source of new creations. The Vedas propound that apart from the physical body; an individual constitutes his mind and his mind and his intellect and is presided over or enlivened by the Cosmic Consciousness. The mind function is two fold, to acquire knowledge through the five senses (Gyan Indrias) and to act in the world outside through the five related organs (Karam Indrias). The five basic elements of nature, namely, the space, air, fire, water and earth correspond to the sensations of hearing, touch, sight, taste and smell, respectively. Intellect is the discriminating power in us, to take a decision for elevation to righteousness or to rediscover alpha and omega of the Reality or to succumb to desires and remain in worldly illusions. Our existence comprises of three stages of awareness: waking, dream and deep sleep stages. We also have three behavioural qualities: ‘Satvic’, ‘Rajas’ and ‘Tamas’: i.e. spiritual, psychological or merely physical ways of living. We are taught that by knowledge, selfless service and by meditation we can achieve the ultimate. Knowledge can be derived from ‘Yantras’, creativity from ‘Tantras’, energies from ‘Mantras’ and inspiration from ‘Meditation’; the secret laws of nature. I have combined all these together in Vedic Culture to achieve best results. Despite materialistic development, resources and riches, the Westerners are looking to the orient for desired peace of mind. As open secret, relatively unknown, is that India is a source, the fountainhead of the vast ancient Vedic knowledge available on the planet today. When the Vedic concept is presented through modern technological advances, the sublime information becomes available to all walks of life and can be easily understood. This would give a new outlook to the world of modern living with high thinking. Scientific explanations and Sanskrit Shlokas with their meaning, wherever possible, have been inducted to project the genuineness of the subject. This is an humble attempt in giving a glimpse of habitation and the way of life in ancient India. As far as possible, my submission on the inter-relationship of the Vedic Knowledge vis-à-vis modern living in unison with nature as expounded in the vedic age are supported by diagrams, charts, illustrations and photographs. Last of all I would like to stress that: If we have to equip ourselves to meet the challenges of the future, we must examine the forces that are now transforming the living activity and thoughts of the people. However, in the modern world people built concrete clusters mainly for high rate of return. After the second world war, the architectural practice must have turned out to be a race towards the so called modernization, adopting bureaucratic values, resulting in world wide pollution, environmental and ecological problems with no peace of mind under any kind of shelter. Meaning:- Properly designed and pleasing house will be an abode of good health, wealth, family, peace and happiness. Negligence of the canons of Vastu Principles will result in bad name, loss of fame, sorrow and disappointments. Vastu Shastra is, therefore, brought into light in favour of, to the satisfaction of, and for the betterment and overall peace and welfare of the Universe. Veda’s are the foundation of civilization and if the foundation is not correct, good results can never be achieved. Vastu is our heritage. Heritage is like roots to a tree. So we have to go to the roots and study the most elementary and important principles of Vedas for a healthier and prosperous life, particularly in modern living. The goal of the discourses is to successfully harness the resources of heritage and give strength to the individual and thereby to the community as a whole. The Vastu Professional should know Vedas. He should be intellectually aware of the highest truth formulated in religion. The subject of Vastu Shastra is one among several sacred sciences derived from the highest metaphysical principles. The Vastu practitioner should put in sincere efforts to acquire this comprehensive, farsighted and timeless wisdom. Research Institute of Vedic Culture has been established to give answers to all the questions. The students and scholars of this institution are busy doing their Research Thesis on Vedic Culture and Occult Sciences. In the 3rd edition of this book I would like to discuss with the readers the importance of orientation of a building not only for saving energy but also to have a healthy design, which not only gives comfortable living but also gives good health, prosperity to the house owners/occupiers and their families. There lies a correlation between the rotational scenario of the planets and the house designs and their different activities in the house placed in different directions with respect to the North. The science dealing with sunshine and the effects of its intensity per given area, its rotation around the sun, earth tilt at 23½ degree towards the sun, Earth’s attraction by the moon coupled with its environs, as its meteorological data, sea behaviour, ice caps in NORTH and SOUTH poles, rainfall, soil data, space track of the earth etc. has to be referred and studied deeply to understand the effects on human mind, body and soul in relation with the building and its environments and surrounding. During the Vedic period, man had discovered how to utilise and improve upon the living conditions of his habitat for perpetual prosperity with the help of Vastu Shastra as described in the ‘YAJURVEDA’. The Vedic principles dealing in building designs and construction existed before the Mahabharata, and had been practiced by our ancient architects like Vishvakarama, such a wide variety that could be achieved only by collaboration and integration with the most modern high technology of building sciences fused with vedic sciences. A glimpse into the Vedic Sciences has been described and dealt in depth by the same author in his earlier book titled Vedic Architecture and Art of Living-volume I. The Greatest Discovery Of Mankind Is That A Human Being Can Change, Alter Or Mould His Life By Altering His Attitude Through His Trained Mind. 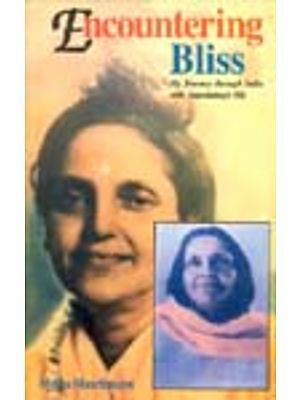 Art of Blissful Living is the latest contribution by the author, Prof. (Dr.) B.B. Puri, after an overwhelming response to his earlier books. This book has made an excellent effort to establish the fact that Vedantic knowledge is based on fundamental principles in creating and maintaining a proper balance between body, mind, soul & environment with the help of Vastu Shastra, which is not merely an art but a definite science in itself. The latest book of Dr. Puri perfectly describes the saying “Whenever you open this book, you will receive benefits”. Dr. Puri excels in the knowledge of Vedic Philosophy as well as academics. With this book, we can now witness the splendid results of his accomplishments . Prof. (Dr.) B.B. Puri is a multifaceted personality and he is a Senior Practicing Architect, Research Scholar, Author and Vastu Advisor. He is associated with numerous professional organizations. His achievements underscore his versatility. Prof. Puri has added a new research dimension and scientific approach to Vedic Culture making it a modern concept. His mission is to propagate the new dimensions in the Vedic Philosophy and get due recognition for it.